Manaswal is the ancestral village of the promoters of Gaj Retreat and they can trace back their roots here for over a thousand years. The family has been actively involved in the development of the area, popularly known as ‘Beet’, in Tehsil Garhshanker. 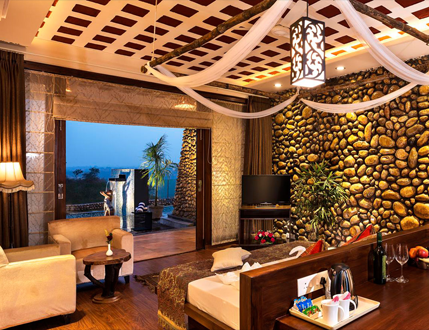 The promoters have vast experience of over 25 years, in the Hospitality industry and have been successfully running Koti Resort in Himachal Pradesh. They have been pioneers in promoting ‘destination tourism’. After the success of Koti Resort, the promoters started an Adventure Tours outfit, which specialized in customized off- road tours in the remote Lahaul-Spiti and Ladakh regions wherin they conducted several successful expeditions. Having spent more than 25 years in the hospitality industry and having their roots in the village of Manaswal, the promoters decided to set up their new project here to promote the natural beauty of the area and at the same time give back to the local community by adding to the economic development. 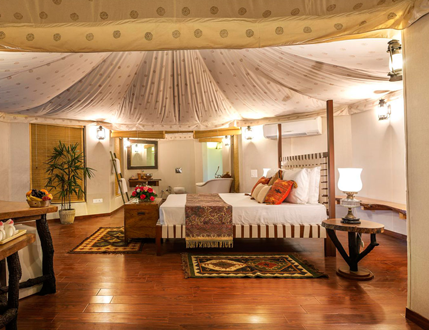 Keeping in mind the ecological sensitivity of the area, Gaj Retreat was conceptualized as an Eco-Resort. 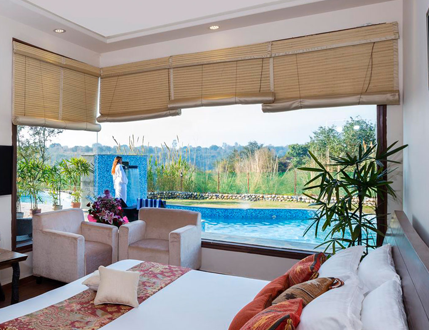 Gaj Retreat is a luxury eco resort & spa destination located on a plateau at Manaswal which is a mere 20 min drive from Nangal & 2 hours from Chandigarh. Here, guests can relax in their chalets/villas and enjoy all that the great outdoors have to offer. And they can do so with their eco-conscience at ease. Every aspect of the retreat is designed to be environmentally friendly and it has been built using local materials and manpower to ensure minimum negative impact on the environment. The retreat has extensive recycling and refuge-elimination programs in order to cut and offset its carbon footprint. Gaj Retreat truly features exotic luxury in complete harmony with all the elements of nature that make this property so very special. The Retreat spans over acres of beautiful forest land and has been developed with the deepest respect for the natural environment. From the moment you set foot on the property you are bound to get mesmerized by the surrounding landscapes, dramatic sunsets and starry nights.